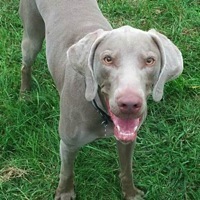 - North Carolina Weimaraner Rescue - ADOPTIONS - Rescue Me! Meet Beau! An adorable, handsome 8 month old hound mix! He LOVES to play with other dogs and enjoys playing fetch!